Artificial sweeteners are marketed as sugar’s calorie-free and healthier alternative. Currently the FDA has deemed five different artificial sugars safe for consumption: saccharin, acesulfame, aspartame, neotame, and sucralose. (Strawbridge, 2012). Artificial sweeteners aren’t just found in food and drinks, but also in drugs or hygiene products (Weihrauch & Diehl, 2004). 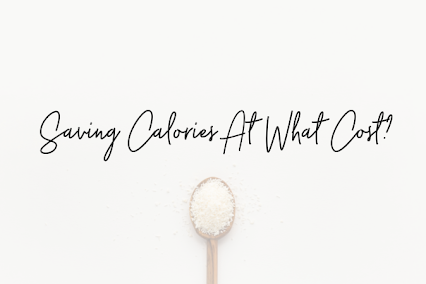 They are so common, in fact, that around 30% of American adults and 15% of children have consumed low-calorie (or calorie-free) sweeteners between 2007 and 2008 (Sylvetsky et al., 2012). Although they are low-calorie and are rumored to help with weight loss and maintenance, health professionals disagree just how beneficial these artificial sweeteners are. Some studies have suggested health effects such as lymphomas, leukemias, chronic fatigue syndrome, Parkinson’s and Alzheimer's, multiple sclerosis, autism and systemic lupus resulting from artificial sweetener consumption (Whitehouse, Boullata & McCauley, 2008). Not to mention, artificial sweeteners are highly addictive. When rats were to choose between cocaine and the artificial sweetener saccharin, most chose the latter. Researchers and other professionals in health related industries are in disagreement about the possible negative effects artificial sweeteners have on our bodies and general health. Suez and his colleagues uncovered that regular consumption of artificial sweeteners can drive glucose intolerance by altering intestinal microbiota levels and general functionality of our bodies microbiota necessary for processing glucose (Suez et al., 2014). Although many people turn to artificial sweeteners in order to cut back on calories and lose weight, some studies have suggested that artificial sweeteners can actually make people gain weight (Polyack et al., 2010 ; Fowler et al., 2008). According to a 1986 study by the American Cancer Society, an increased consumption of artificial sweetener caused weight gain among a highly homogenous group of women. Although the difference between the two groups was only two pounds, it was statistically significant (Stellman & Garfinkel, 1986). Other studies argue that artificial sweeteners have neither a positive nor negative effect on consumers’ weight. Consuming artificial sweeteners on a regular basis can make us dependent on sweet tastes. Our craving for a certain flavor has been strongly correlated with the amount of times we ingest this kind of flavor. Studies reduced the ingested amount of dietary salt or fat among participants and were able to prove, that after time, participants were less likely to crave these flavors (Mattes, 1993; Bertino, Beauchamp & Engelman, 1982). Studies have also shown that artificial sweeteners only partially satisfy our needs for sweets and do not cause a complete activation of food reward pathways (Yang, 2010). Because animals seek out sweet foods in order to satisfy a craving, this uncomplete satisfaction could lead to more ingestion of sweet foods. This reduction in reward response could be one reason why artificial sweeteners contribute to obesity among consumers. Becoming dependent on sweet flavours may also change the way we taste food. In a Harvard Health interview, Dr. David Ludwig noted that these kinds of sweeteners are much more potent and tasteful than regular sugars which can lead to overstimulation. This overstimulation may cause use to dislike other foods with more complex tastes like fruits or vegetables. Artificial sweeteners’ carcinogenic properties are the most debated and controversial side effect that may exist. In previous studies, artificial sweeteners have been linked to a higher risk of bladder and brain cancer (Tandel, 2011). But inconsistencies between the data sets suggest that some of these results may be a result of chance or are that the effects are negligible at most (Hoover & Strasser, 1980 ; Weihrauch & Diehl, 2004). You may find yourself craving something sweet, but that doesn’t mean you have to grab an unhealthy snack in order to satisfy it. Healthy foods like fruits naturally have sugars than can appease your sweet tooth but have plenty vitamins and fiber necessary for a balanced diet (Slavin & Llyod, 2012). Grapes, mangoes and berries are some of the best fruits to satisfy your sweet tooth. Berries are also great antioxidant foods with anti-inflammatory properties which help reduce the risk of developing chronic diseases in addition to helping you maintain a healthy diet (Heneghan et al., 2018). However, sweets are okay in moderation. Dark chocolate is one of the most famous and more healthy treats compared to its milk and white chocolate counterparts. Dark chocolate is considered healthier due to it containing some compounds called polyphenols. These polyphenols can have antioxidant and anti-inflammatory effects as well as improve heart health in some individuals (Ried, Fakler & Stocks, 2017). Hoover, R. N., & Strasser, P. H. (1980). ARTIFICIAL SWEETENERS AND HUMAN BLADDER CANCER: Preliminary Results. The Lancet,315(8173), 837-841. Retrieved from https://www.sciencedirect.com/science/article/pii/S0140673680913501. Lenoir, M., Serre, F., Cantin, L., & Ahmed, S. (2007). Intense sweetness surpasses cocaine reward. PLOS One,2(8). Retrieved from https://www.ncbi.nlm.nih.gov/pubmed/17668074. Ried, K., Fakler, P., & Stocks, N. (2017). Effect of cocoa on blood pressure. Cochrane Database Library,4. Retrieved from https://www.ncbi.nlm.nih.gov/pubmed/28439881. Slavin, J., & Llyod, B. (2012). Health benefits of fruits and vegetables. Advances in Nutrition,3(4), 506-516. Retrieved from https://www.ncbi.nlm.nih.gov/pubmed/22797986. Yang, Q. (2010). Gain weight by “going diet?” Artificial sweeteners and the neurobiology of sugar cravings. Yale Journal of Biology and Medicine,83(2), 101-108. Retrieved from https://www.ncbi.nlm.nih.gov/pmc/articles/PMC2892765/.